When setting out to choose new cabinetry for your home, it’s easy to feel overwhelmed with what you find. Talk about different wood species, overlays, and other cabinet materials can be enough to make your head spin. 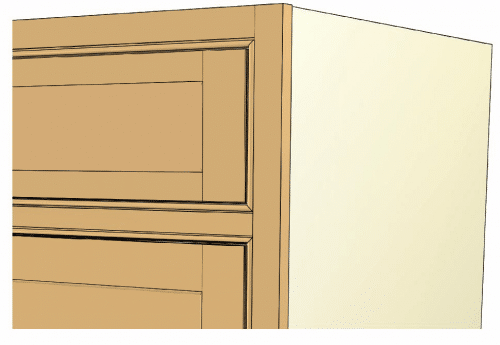 That’s why we’ve created our Cabinetry Basics section: a place where you can come and get your crash course on cabinetry. Our goal is to help you feel prepared and comfortable when working with your designer. Read more info on our select wood species and each of their unique characteristics. 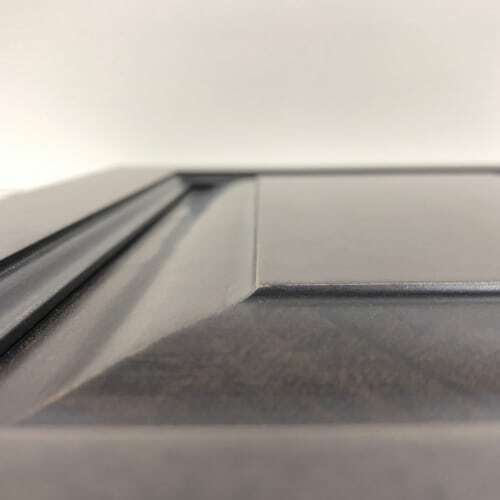 Learn more about overlays, frames, and our overall cabinet construction. The beauty of wood is in its uniqueness. No two trees are alike, and therefore no two kitchens will be alike. 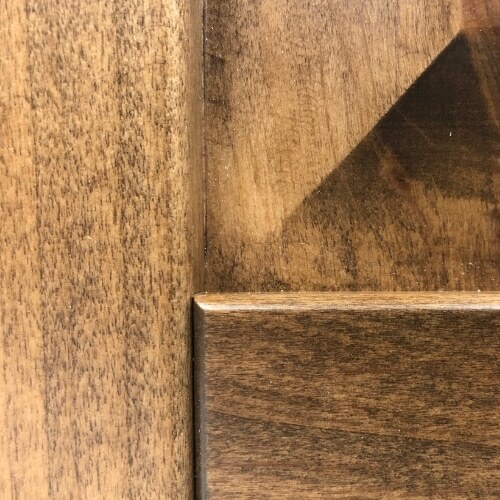 Following are some of the natural characteristics of wood that should be taken into consideration when choosing your cabinetry. 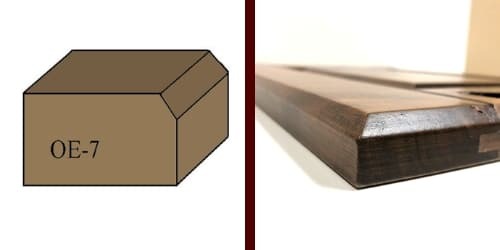 Click on any of the wood types below to learn more about its unique characteristics. Alder’s natural color is a light reddish tan. 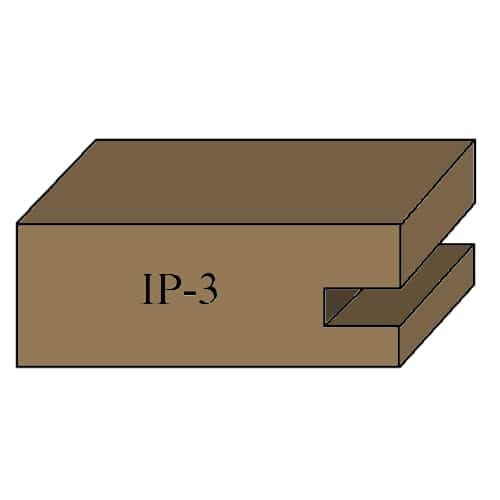 It contains little or no distinct grain lines and very little color difference between sapwood and heartwood. 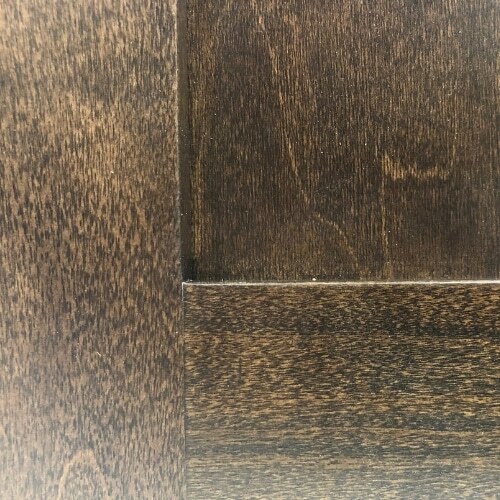 Rustic Alder differs from Alder in that open knots will be prevalent on cabinets. Veneered ends, posts, onlays, and other outsourced pieces may not include these knots. 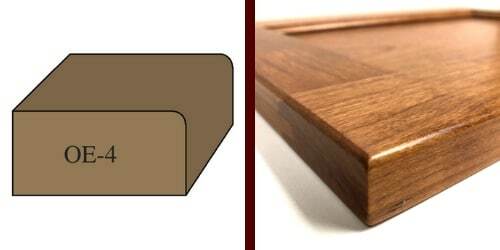 Cherry generally has a smooth, uniform grain, and is known for its rich look. Its color ranges from white to a deep red to a deep reddish-brown. Some sap, light heartwood, and mineral streaks are acceptable natural characteristics of cherry. 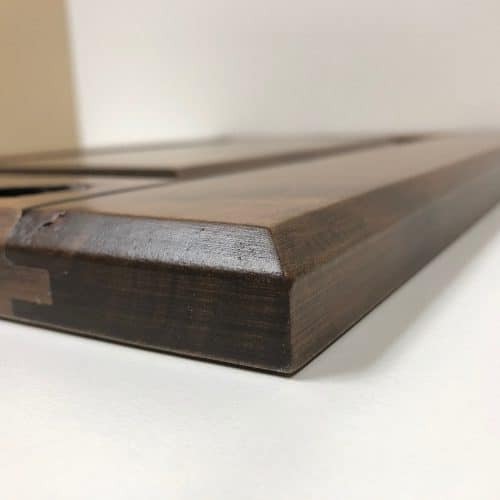 Cherry is best suited for medium to dark finishes. 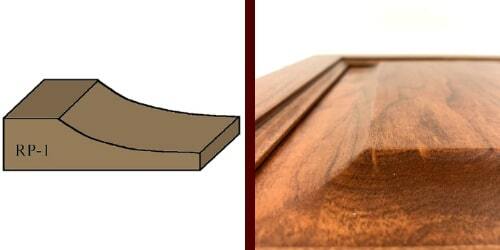 Red or brown finishes will help give the wood a more uniform look. Over time, cherry will darken and redden as a natural reaction to light. 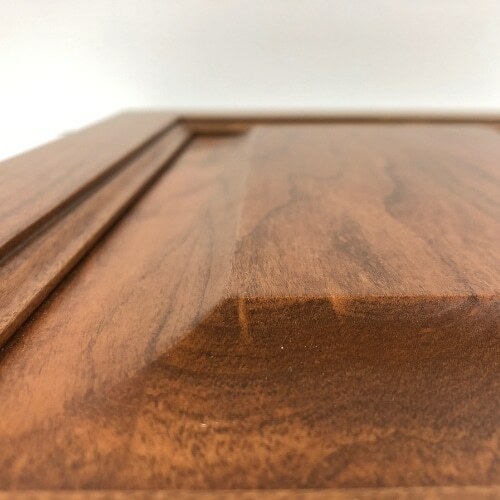 Rustic Cherry differs from Cherry in that open knots will be prevalent on cabinets. Veneered ends, posts, and other outsourced pieces may not include these knots. Hickory is a strong wood that is known for its dramatic color variations. 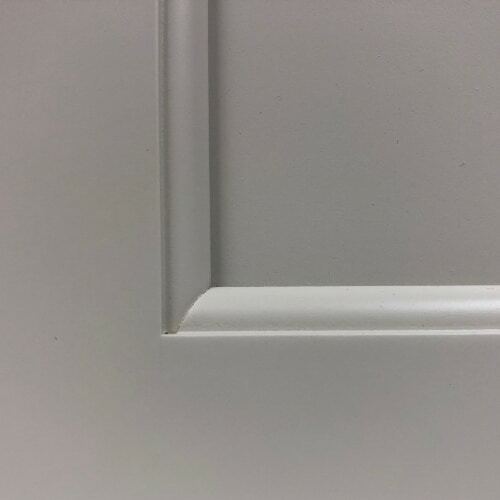 Colors can range from white to dark brown, many times even on the same door. Sap, light heartwood, small pin knots, and color streaks are all characteristics that are acceptable and add to the natural beauty of hickory. 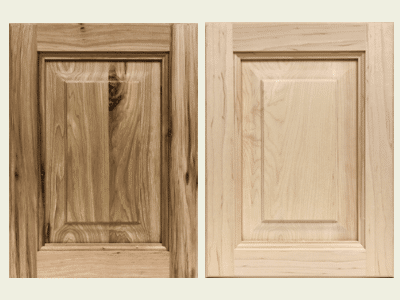 The natural variations contained not only in hickory, but in all wood species, are what makes each room unique. It is important for customers to understand that natural variations will be apparent in all hickory orders. Rustic Hickory differs from Hickory in that open knots will be prevalent on cabinets. Veneered ends, posts, and other outsourced pieces may not include these knots. Maple generally has a fine, smooth, and uniform grain. Maple’s color tends to be more uniform than most hardwoods, but it does vary from white to light brown. Sap, light heartwood, black mineral streaks, birds-eye spots, and grain variations are natural characteristics that are acceptable in maple. 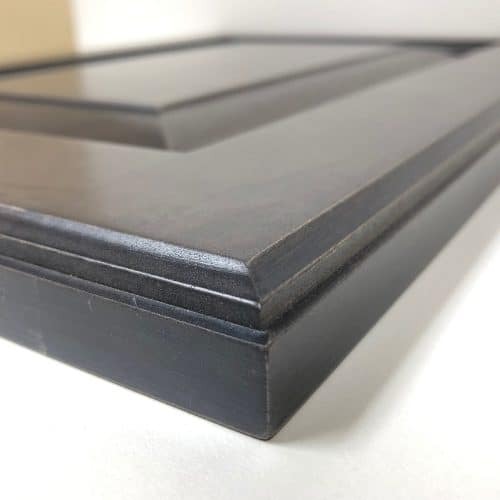 Maple is best suited for medium to dark finishes. 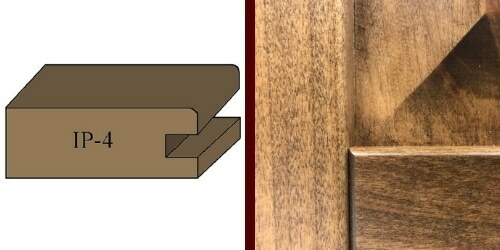 Rustic Maple differs from Maple in that open knots will be prevalent on cabinets. Veneered ends, posts, and other outsourced pieces may not include these knots. 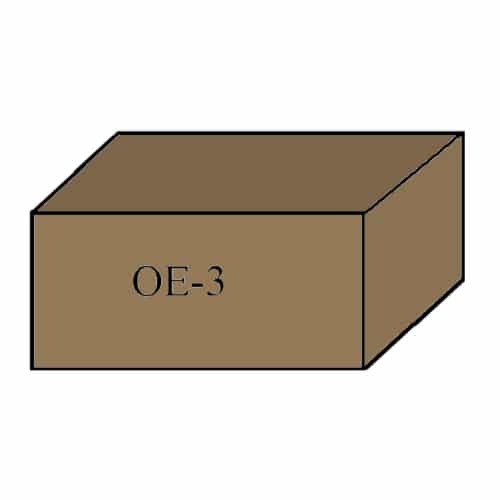 Red Oak is a strong wood with color variations from pink to white. 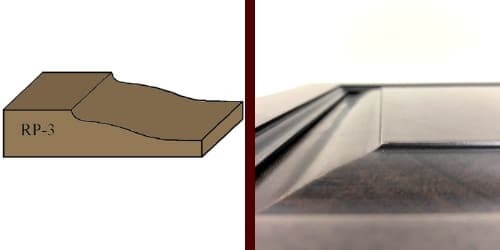 Grain patterns are predominant and range from straight lines to pointed or arched patterns. Some color and grain variations are acceptable, as they are natural characteristics of the wood. Some green, yellow, and black mineral deposits may occasionally be present. An occasional knot or wild grain vein may also be present. 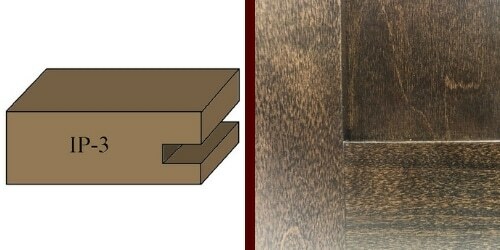 These characteristics do not diminish the quality of the wood used in Monarch cabinets. 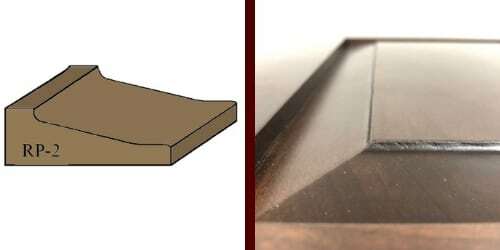 Red oak is best suited for medium to dark finishes. 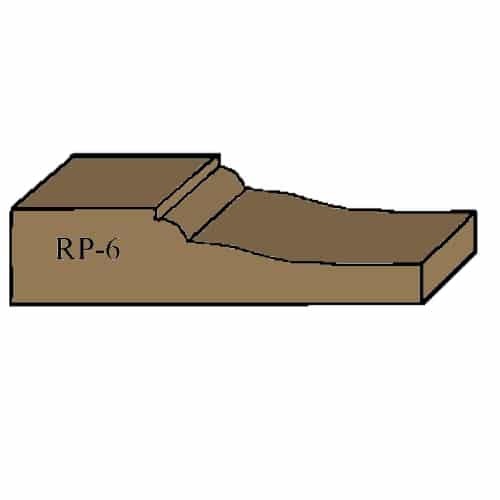 Quartersawn Red Oak is different from plainsawn only in the way it is cut at the sawmill. 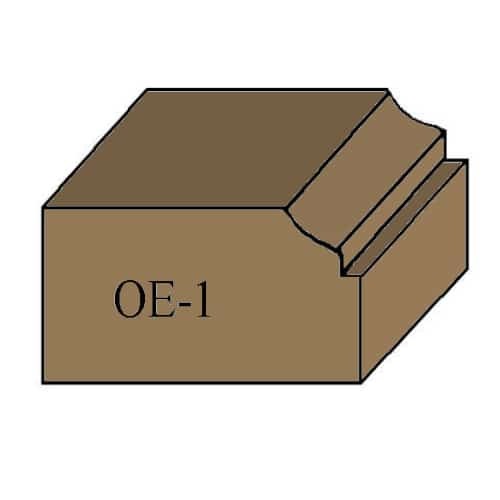 Quartersawn is cut radially to the rings or parallel to the rays and produces an edge-grained appearance that is especially suited for reproductions or cabinetry. Poplar's color varies from pale yellow to white with some green and brown mineral. Variance in color is acceptable as it is a natural characteristic of the wood. 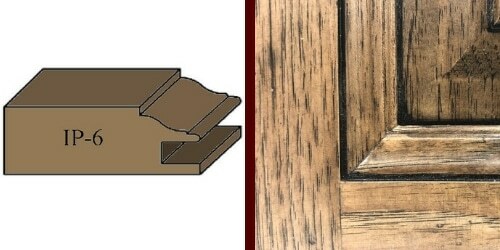 Rustic Cherry differs from Cherry in that open knots will be prevalent on cabinets. Veneered ends, posts, onlays, and other outsourced pieces may not include these knots. Hickory is a strong wood that is known for its dramatic color variations. 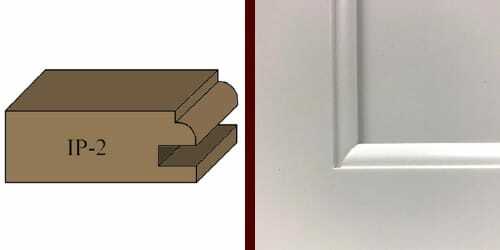 Colors can range from white to dark brown, many times even on the same door. Sap, light heartwood, small pin knots, and color streaks are all characteristics that are acceptable and add to the natural beauty of hickory. Rustic Hickory differs from Hickory in that open knots will be prevalent on cabinets. 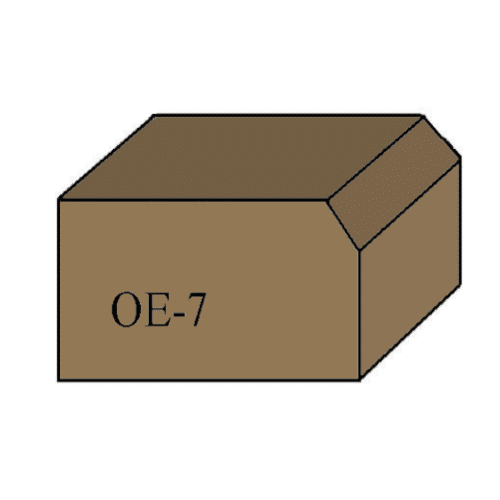 Veneered ends, posts, onlays, and other outsourced pieces may not include these knots. Maple generally has a fine, smooth, and uniform grain. Maple’s color tends to be more uniform than most hardwoods, but it does vary from white to light brown. Sap, light heartwood, black mineral streaks, birds-eye spots, and grain variations are natural characteristics that are acceptable in maple. 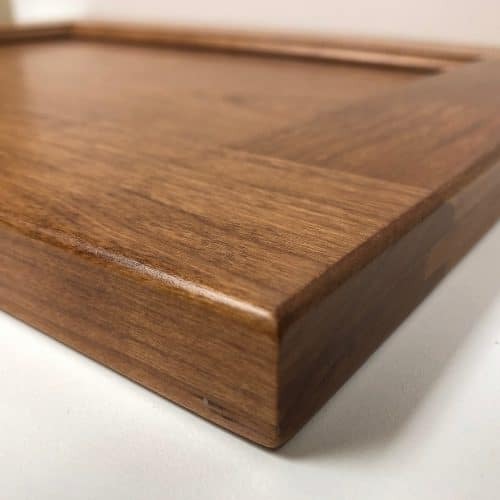 Maple is best suited for medium to dark finishes. 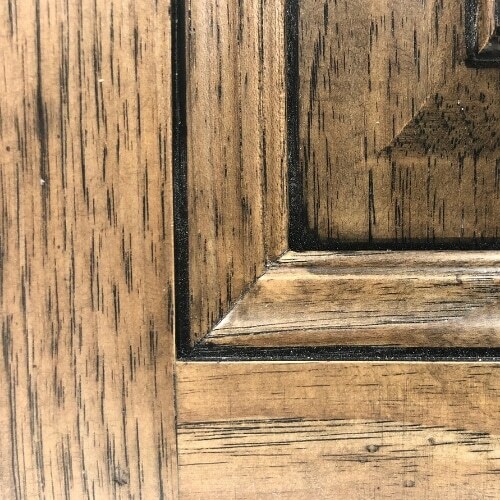 Rustic Maple differs from Maple in that open knots will be prevalent on cabinets. Veneered ends, posts, onlays, and other outsourced pieces may not include these knots. 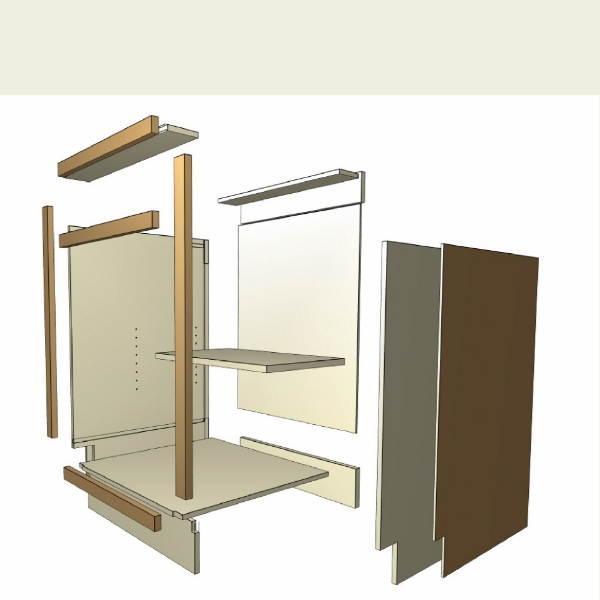 Our cabinets are engineered using a stretcher & nailer system designed to strengthen & square each assembly. The diagrams below show exploded versions of our construction methods. 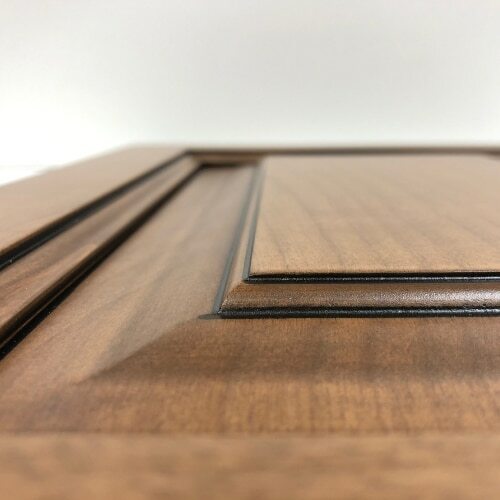 We build our cabinets out of high-grade plywood with a UV coated interior. Try out our interactive guide! 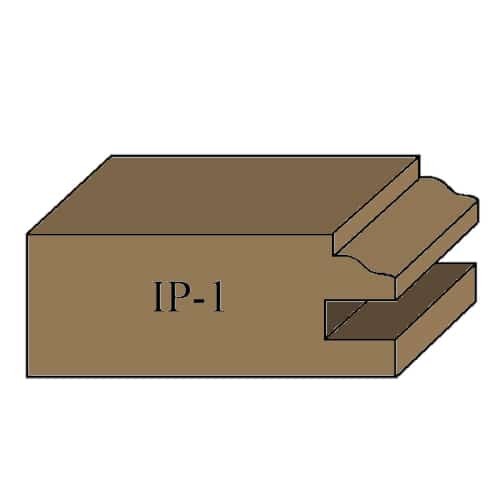 Click on any of the cabinet parts to reveal more information about that specific component. 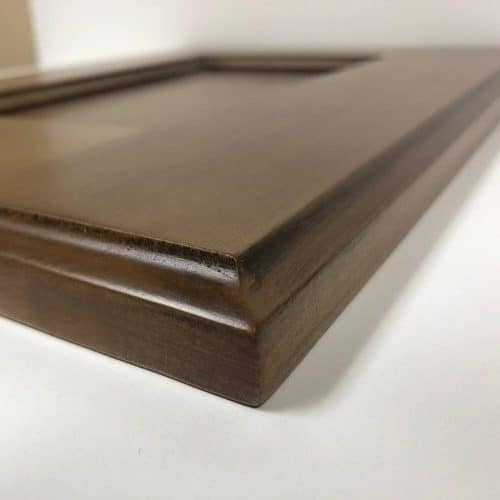 Cabinet Frames are 3/4" thick, 1 1/2" wide, solid hardwood rail and stile members. 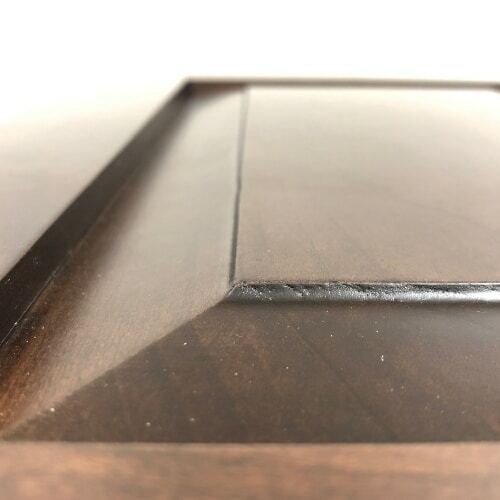 All frame joints are precisely aligned, bonded with adhesive, and secured with screws. 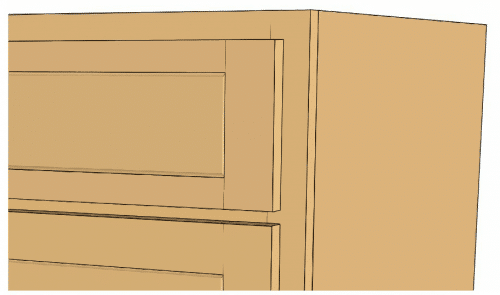 Cabinet Sides are 1/2" thick UV plywood. 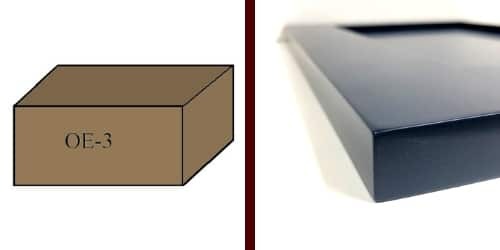 A dado joint and adhesive are used to accept the top, bottom, and back. Also offered is an option for 1/2" furniture board with vinyl interior. 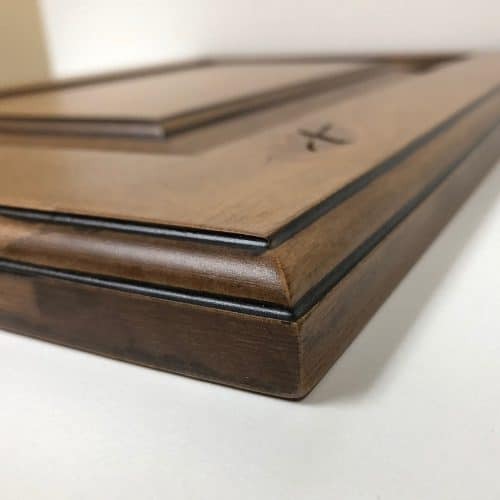 Finished ends are 1/4” MDF core with wood veneer. 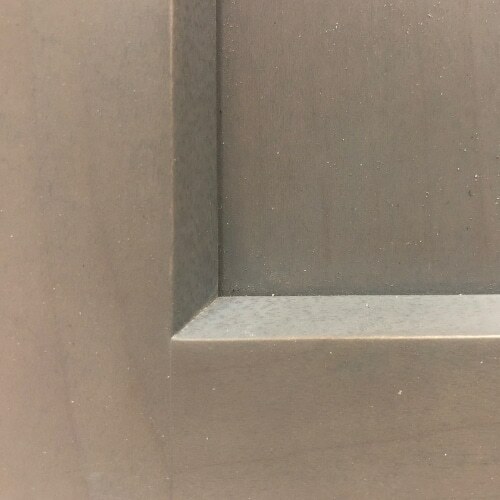 Finished ends are flush with the edge of the face frame & finished to match the face of the cabinet. Also projects 1/4” in toe space to capture kitchen toe kick. 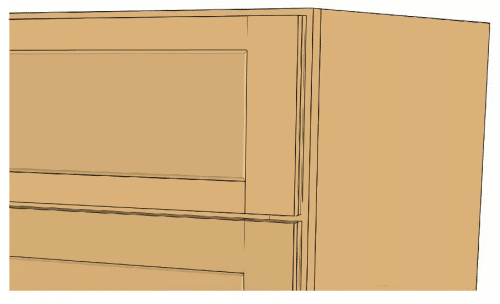 Cabinet Tops are 1/2" thick UV plywood for extra strength and rigidity. 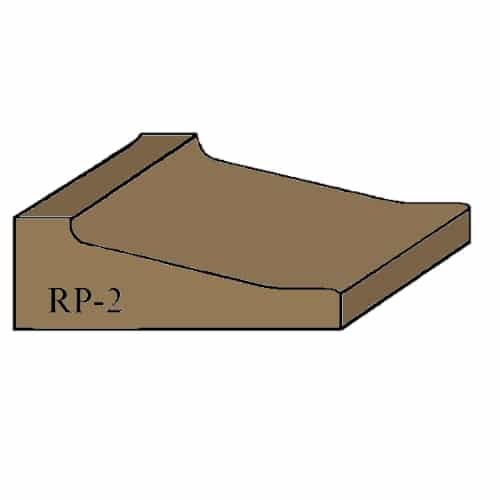 A dado joint and adhesive are used to join the tops to the ends. Also offered is an option for 1/2" furniture board with vinyl interior. 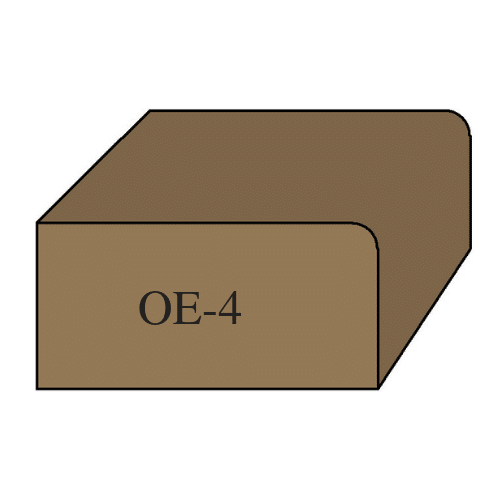 Cabinet Bottoms are 1/2" thick UV plywood for extra strength and rigidity. 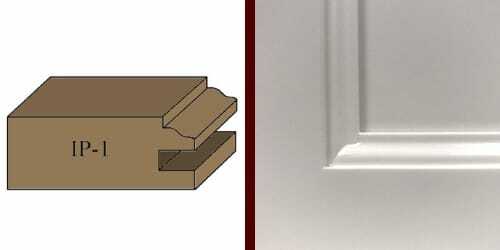 A dado joint and adhesive are used to join the bottoms to the ends. Also offered is an option for 1/2" furniture board with vinyl interior. Backs are 1/4" UV Plywood. 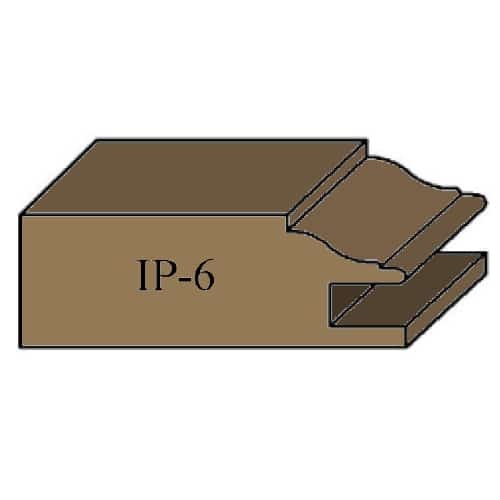 The back is joined into a hanger rail with adhesive for superior strength. 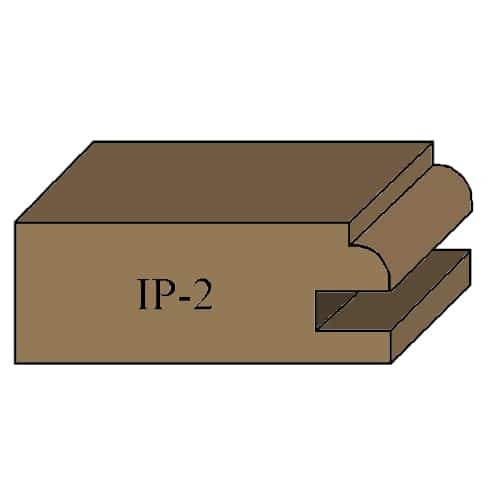 A 1/4” groove accepts the back into the sides. 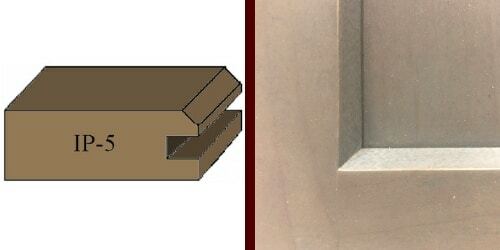 Base and wall cabinet backs are retained in the same manner. 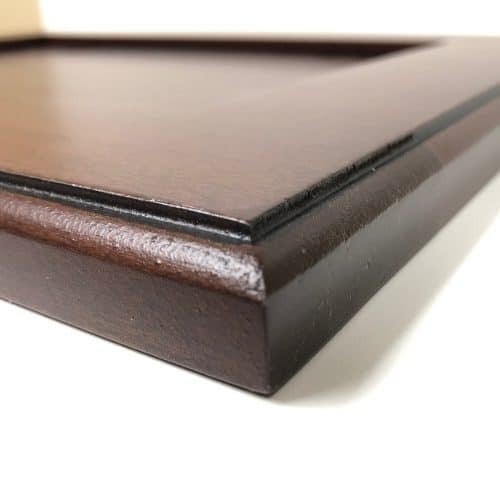 Also offered is an option for 1/4” Furniture Board with vinyl interior. 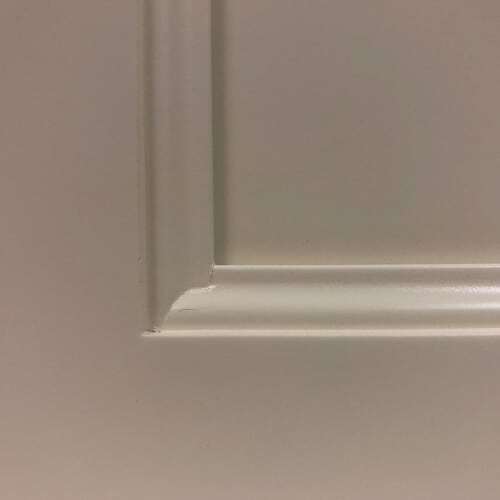 Nailers are 3/4” thick UV plywood & is located behind the back of the cabinet. 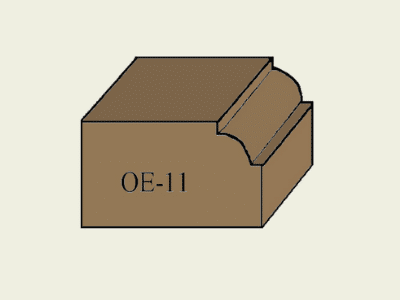 A dado joint and adhesive is used to join the nailers to the sides. 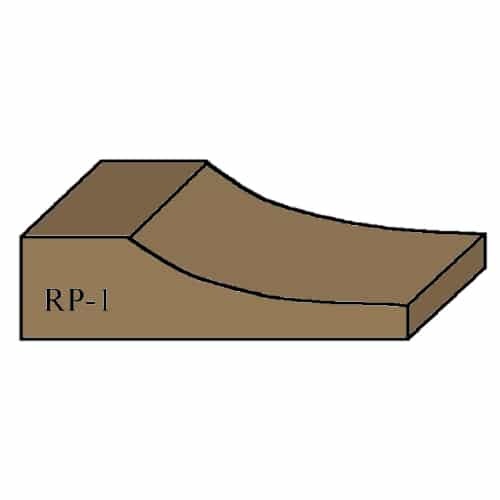 Stretchers are 1/2” thick UV plywood for extra strength and rigidity. 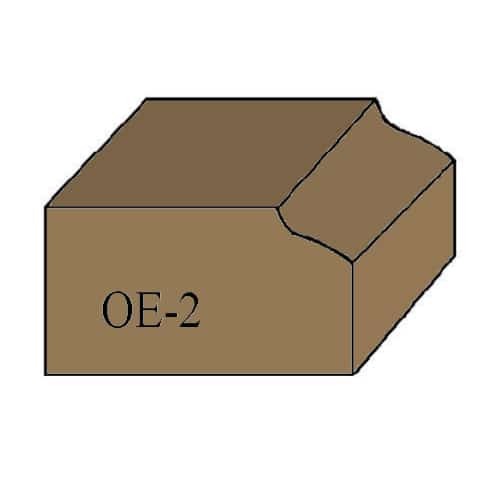 They also help reinforce the base and help maintain squareness. Also offered is an option for 1/2” Furniture Board with vinyl interior. 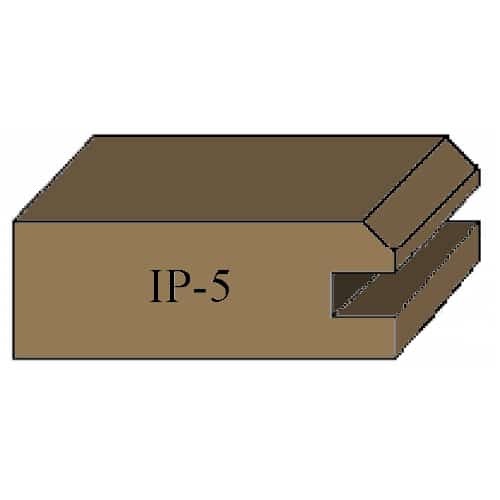 Base Cabinet Decks are 1/2” thick UV plywood for extra strength and rigidity. The bottoms are joined to the end panels and face frame rails with dado joints and adhesive. Also offered is an option for 1/2” Furniture Board with vinyl interior. Backs are 1/4” UV plywood. 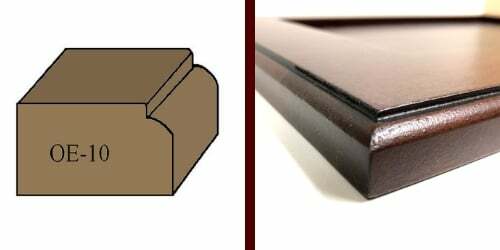 The back is joined into a hanger rail with adhesive for superior strength. 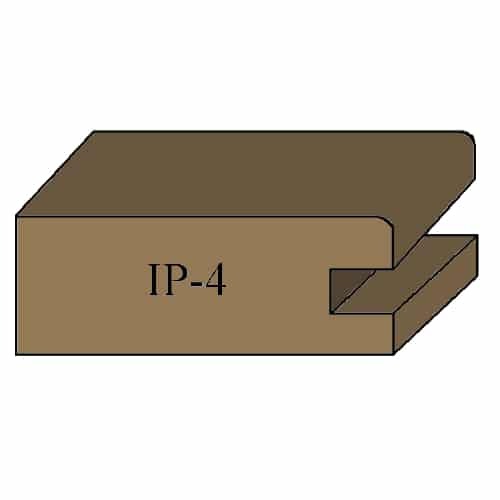 A 1/4” groove accepts the back into the sides. 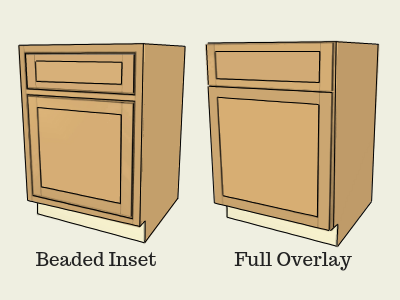 Base and wall cabinet backs are retained in the same manner. 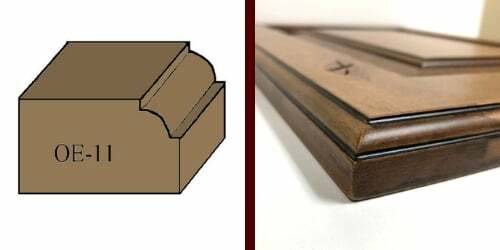 Also offered is an option for 1/4” Furniture Board with vinyl interior. 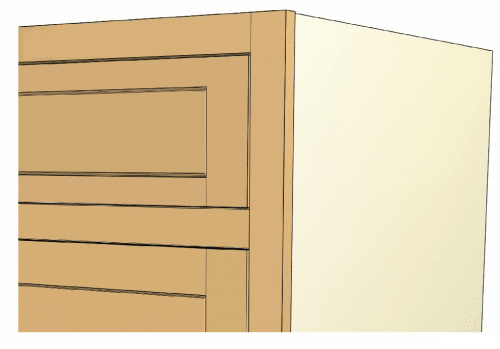 3/4” Adjustable Plywood Shelves are standard in all cabinets. The shelves are 3/4” UV plywood . 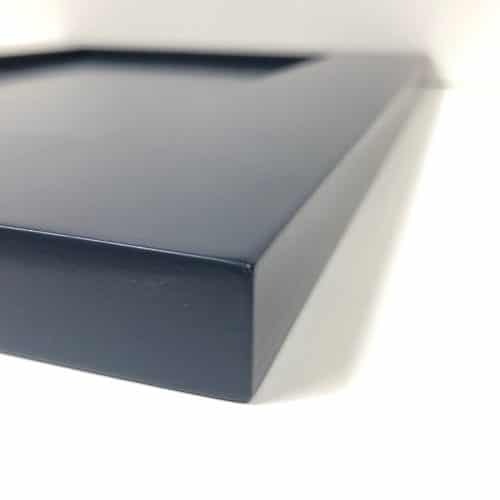 The front edge of the shelf is covered with PVC edgebanding. 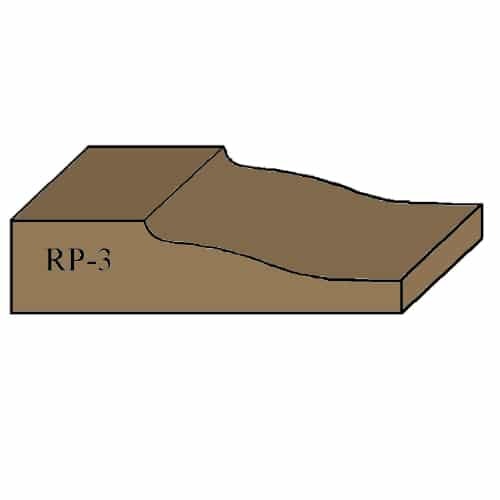 Also offered is an option for 3/4” Furniture Board. 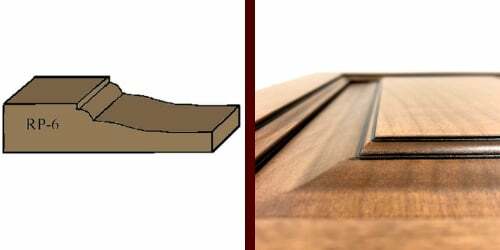 Toe Bases extend from the deck of the cabinet to the bottom of the cabinet. 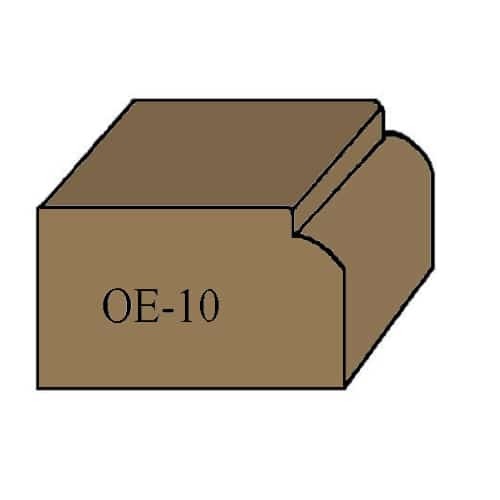 They are designed to support the bottom of the cabinet and completely enclose the area behind the toe base. 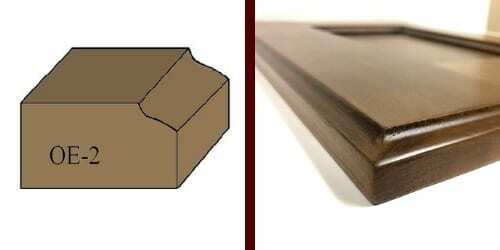 Toe base cover trim, which is sent loose, is 1/4” hardwood plywood matching the finished ends. 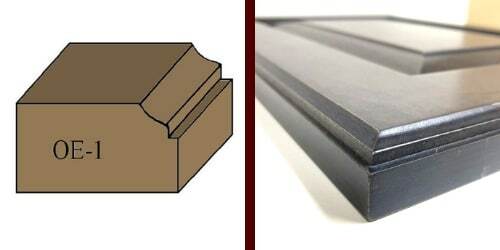 Check out our available outer, inner, and panel profiles. 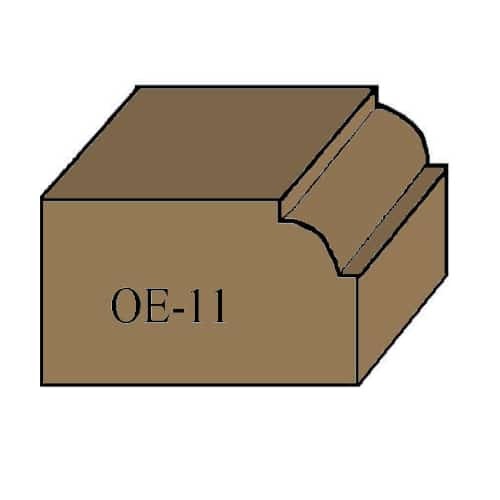 View our available outer, inner, and panel profiles.